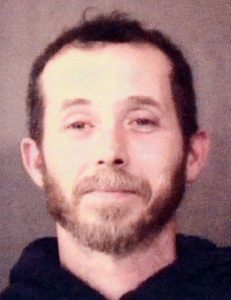 KOSCIUSKO COUNTY — Benjamin Michael Stewart, 44, 9564 Sandpoint Drive, Cromwell, has been charged with neglect of a dependent, a level 6 felony; driving while suspended, a class A misdemeanor; and failure to stop after a vehicle accident, a class B misdemeanor. He is being held on a $3,000 cash and surety bond. Additionally he has been booked on initial charges of residential entry. No details of that arrest are available. He is being held on $5,250 surety and cash bond for that charge. According to court documents Kosciusko County sheriff’s deputies responded to an accident where one of the participants fled the scene. Police determined a Chevrolet Malibu operated by Lauren Babb and a Dodge Caliber, driven by Stewart were involved in the collision. Stewart had two passengers in his vehicle: Kathleen Rollins and his child. Police found them walking away from the scene of the accident. Police spoke with Rollins who stated Stewart was operating the vehicle who left the scene, and he just left them. Police determined Stewart drove his vehicle left of center hitting the Babb vehicle head on and then fled the scene, failing to exchange information or check on the physical condition of his passengers. Police also learned Stewart has a suspended driver’s license. When Stewart fled the scene he left his child in the custody of Rollins who was determined to have a blood alcohol level of .09.